If you have been classified as a habitual traffic offender and have been arrested for the offense of driving on a suspended license, you face significant criminal penalties. Speak with an experienced Orlando criminal attorney at your earliest opportunity to learn about your rights and the defenses that may be available to you. or has accumulated fifteen convictions within a 5-year period for moving traffic offenses for which points may be assessed as set forth in Florida Statute 322.27. In addition, any violation of any federal law, any law of another state or country, or any valid ordinance of a municipality or county of another state similar to a statutory prohibition specified in above shall be counted. Any person designated a habitual offender shall have their license suspended for 5 years and shall not be eligible to be relicensed for a minimum of 5 years from the date of revocation, except as provided for in Florida Statute 322.271. Any person whose license is revoked may, by petition to the department, show cause why his or her license should not be revoked. A person whose driver license has been revoked as a habitual traffic offender and who drives any motor vehicle upon the highways of this state while such license is revoked may be charged with a felony of the third degree punishable by up to 5 years in State prison. If you or a loved one has been charged as a habitual traffic offender, speak with an experienced attorney at your earliest convenience. In many criminal cases, a properly prepared defense by a criminal lawyer will result in either reduced penalties, reduced charges, or a dismissal of the charges. Even in criminal cases where the evidence of guilt is overwhelming, a properly prepared defense and presentation of mitigating circumstances by an Orlando criminal attorney can result in significant decreases in the penalties you receive. Florida Statute 322.264 – “Habitual Traffic Offender” defined. Florida Statute 322.271 – Authority to modify revocation, cancellation, or suspension order. Florida Statute 322.34 – Driving while license suspended, revoked, canceled, or disqualified. 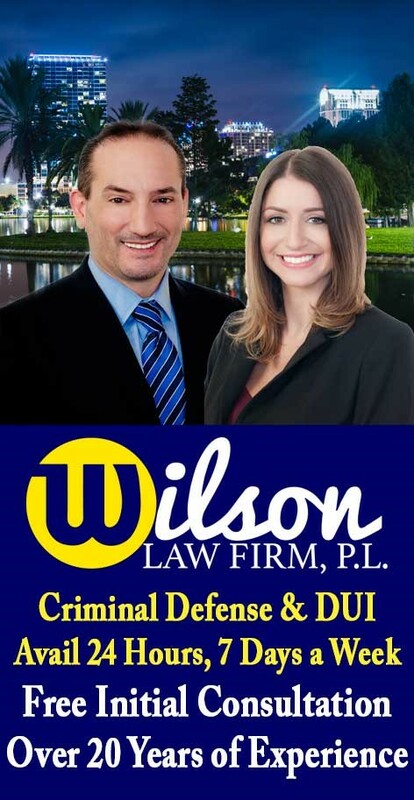 Habitual Traffic Offender – The Wilson Law Firm provides a free initial consultation with an experienced Orlando criminal attorney. Call us today to speak with an Orange County criminal lawyer about the legal process and your rights. Orlando Attorneys handling accident, criminal, DUI, divorce and family law cases in Brevard County, Lake County, Orange County, Osceola County, Seminole County, and Volusia County, Florida. © 2015 THE WILSON LAW FIRM, P.L.